The Oracle DBA will commonly perform all of their UNIX work when signed-on to the UNIX server as the oracle user. In large UNIX environments with hundreds of Oracle servers and dozens of Oracle DBA’s, it is critical that all UNIX servers have a common look-and-feel. This is done by creating the following constructs. Let’s take a look at commands that can be placed into the UNIX .profile script for the oracle user. Most large UNIX shops create a standard .profile scripts for all servers and use the UNIX rcp command to distribute the .profile to every Oracle server. Here is an example of a UNIX script to distribute a standard .profile to every Oracle server. In this script we look up each Oracle server name from the /etc/hosts files. Then we loop between each server, using the remote copy command (rsh) to copy our standard .profile file to every server. We verify that the copy was successful by using the UNIX rsh command to verify the UNIX time and file size for the .profile file. Note that you may need to get your UNIX systems administrator to configure the .rhosts files to allow the rsh and rcp commands to work properly. 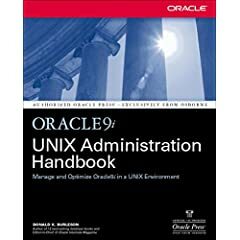 The above is an excerpt from the "Oracle9i UNIX Administration Handbook" by Oracle press, authored by Donald K. Burleson.